Are you tired of your old removable dentures coming loose at meals or slipping out of place in conversation? One-trip permanent dentures in Costa Rica might be your dental solution. Imagine never again having to worry about taking out and cleaning your dentures. No more pesky denture maintenance! Dental work in Costa Rica is gaining popularity in the medical tourism world due to the incredibly low prices and excellent dentists and clinics that can be found there. Patients from all over the world are discovering that they can save bundles on crowns, bridges and dental implants in Costa Rica. The American Dental Association (ADA) reports that up to 69% of adults lack some or all of their teeth—a condition called edentulism. If you are one of the multitudes who require dental prosthesis and are making the change to permanent dentures, Costa Rica is the place for you to get the dental care you need—at a fraction of the cost. It should be noted that while the procedure is called ‘same day dentures’, this merely pertains to the procedure itself. Your trip will take a little longer—usually around 11 days—due to other necessities, such as post-procedural care. There is so much to do in Costa Rica, anyway, so you might as well stay a while and have some fun. Why Get Same Day Dentures in Costa Rica? There are a variety of reasons to get same day permanent dentures in Costa Rica. This is not your regular trip to the dentist. You can have a full dental holiday in Costa Rica! The cost of same day dentures in Costa Rica is astoundingly less than back home. Patients can expect to spend less than half of what they would spend on the same procedures in the US and Canada. Furthermore, getting instant dentures in Costa Rica will save you bundles, not just on the procedure itself, but on all aspects of the process, including X-rays and post-procedural check-ups. 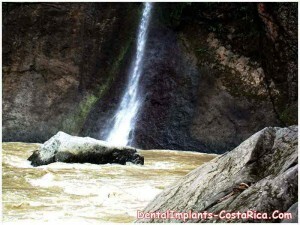 Dentists in Costa Rica are world-class physicians. According to the Council for the International Promotion of Costa Rica Medicine (PROMED), 80% of Costa Rican dentists have been educated in the United States or England. Dental clinics in Costa Rica are stocked with the latest state-of-the-art technologies and are held to high standards of hygiene, comparable to those in developed countries. Costa Rica is also much closer to the United States and Canada than other medical tourism hot spots, making it possible to keep travel costs low. If you’re tired of your old, slippery, removable dentures and want an upgrade, there is no reason to put off getting permanent dentures in Costa Rica. In order to make your trip as productive—and fun—as possible, there are a few things you need to take into consideration before flying off to Costa Rica for instant dentures. Do your research. Make sure you choose a dental clinic you can trust, and always get a quote and previous patients’ recommendations before making your decision. If you have a valid passport from the United States or Canada, you are allowed to stay in Costa Rica for 90 days without a visa. Be aware of your surroundings and watch your personal belongings. Also, don’t wear flashy clothes or jewelry. You don’t want to attract unnecessary attention. Do not buy, use or hold illegal drugs in Costa Rica. After your dental work is done, stick around and enjoy the amazing natural beauty of Central America. Laze on the beautiful beaches of Mal Pais and Jaco, or explore the towering cloud forests of Monteverde. Or stay in San Jose and experience the hustle and bustle of a vibrant Central American city. 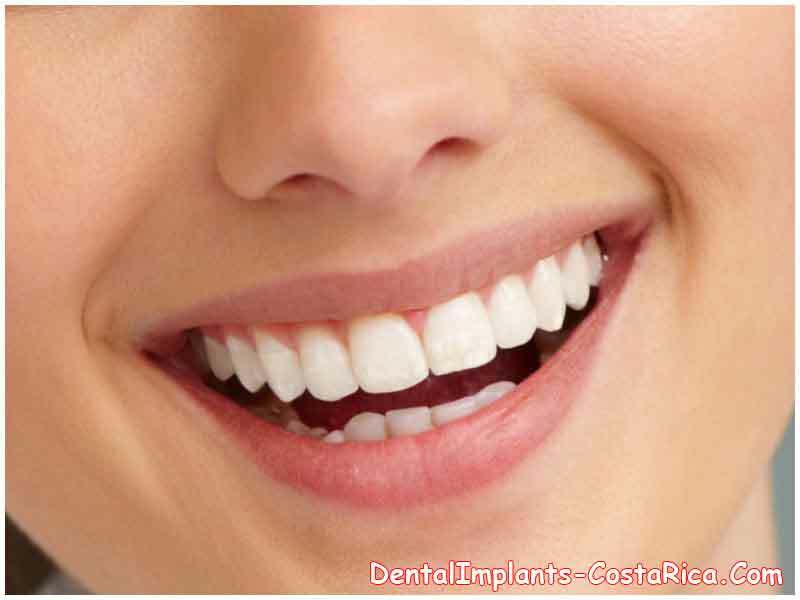 Whether you want dental implants or a full mouth restoration in Costa Rica, you’ll find what you’re looking for here. Getting affordable one-trip permanent dentures in Costa Rica means you can live your life free of the nuisances of old-fashioned removable dentures. Social embarrassment and phobias, sore spots, and the inconvenience of cleaning your old dentures are now things of the past. Fill out the estimate request form on the right to get more information about one-trip permanent dentures in Costa Rica.